While still a child, we certainly ever imagined having a transparent car with no visible form, but can drive it. It seems now, the transparent car is no longer just wishful thinking alone but completely real. 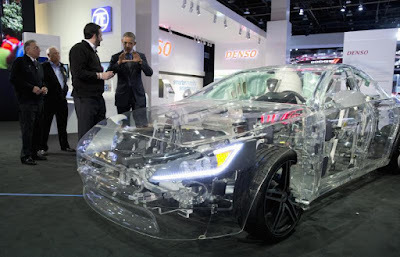 At the North American International Auto Show (NAIAS) 2016, a renowned annual car show held in Detroit, Michigan seen a display of the transparent car. 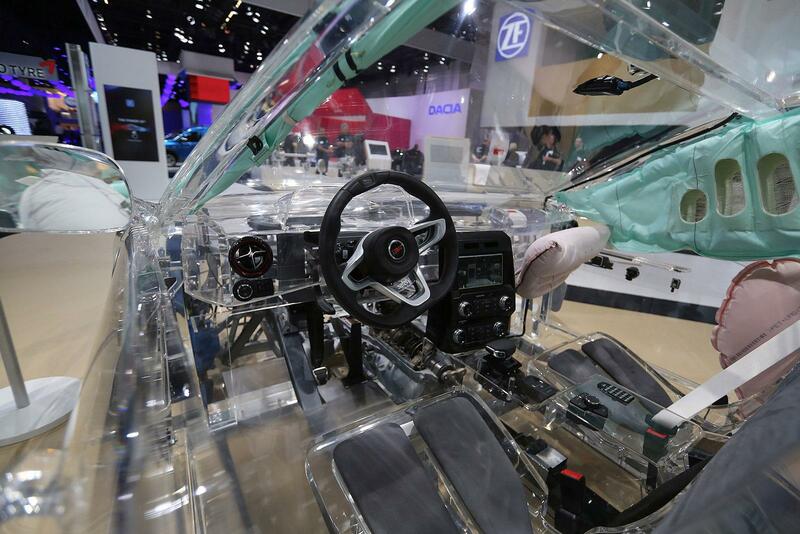 A German auto parts supplier, ZF Friedrichshafen AG, aka ZF Group displayed the eye-catching translucent sedan. The car has stunned auto fans before, including at last year’s Frankfurt Auto Show. According to the company, the transparent car on the company's booth was a way to showcase its offerings at work. While visiting the exhibition Amreika US president, Barrack Obama seen visiting the ZF Friedrichshafen AG booth in which the transparent car is located. President Obama looks very excited when he saw real existence of the car transparent figure.